Nona David currently lives with her husband in Cincinnati Ohio. She has a passion for foreign cultures and zeal to visit new places, learn new languages, and experience new things. Her background, friends, and experiences in Nigeria, West Africa is the major influence for her debut novel, FEDDIE GIRL. Nona loves to read and believes every reading experience should be fun and exciting. Her target audience is mainly females between the ages of 13-55; and anyone who simply enjoys reading quality fiction. With FEDDIE GIRL, Nona wants to offer readers a different kind of reading experience by introducing them to foreign adventures and cultures. FEDDIE GIRL offers a unique and toe-curling story that is exciting, witty, adventurous, and humor-filled. 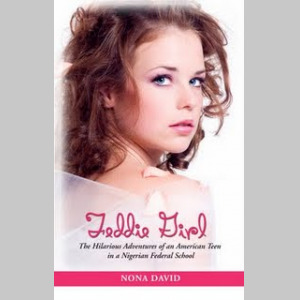 FEDDIE GIRL is a sizzle, a keep-sake, an info pack, and a memory nudge that will transport readers into the foreign cultures of Nigeria and keep them turning the pages and yearning for more.